Christie projectors are bringing quantum science to life in a new exhibit at THEMUSEUM in downtown Kitchener, Ontario, Canada. 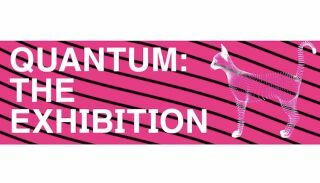 Quantum: The Exhibition will run from October 14, 2016 to January 1, 2017, and then depart on a Canada-wide tour throughout 2017. Quantum shares the wonders of the quantum world and emerging quantum technologies with attendees. Part of the exhibition, the introductory experience, features six Christie Captiva 1DLP laser phosphor projectors, which set the stage for visitors entering the exhibition by providing an immersive space that reminds them that the world is not as it seems. Produced by the Institute for Quantum Computing at the University of Waterloo, Quantum has been selected as a Signature Initiative of the Government of Canada’s sesquicentennial celebrations. Quantum is part of Innovation150, a partnership of five leading science outreach organizations leading a cross-country celebration of science and innovation with stops at Science World at TELUS World of Science in Vancouver and the Discovery Centre in Halifax.